Beautiful home nestled in the sought after Lucaya Lake Club on expansive oversized lot in the desirable gated side of community. 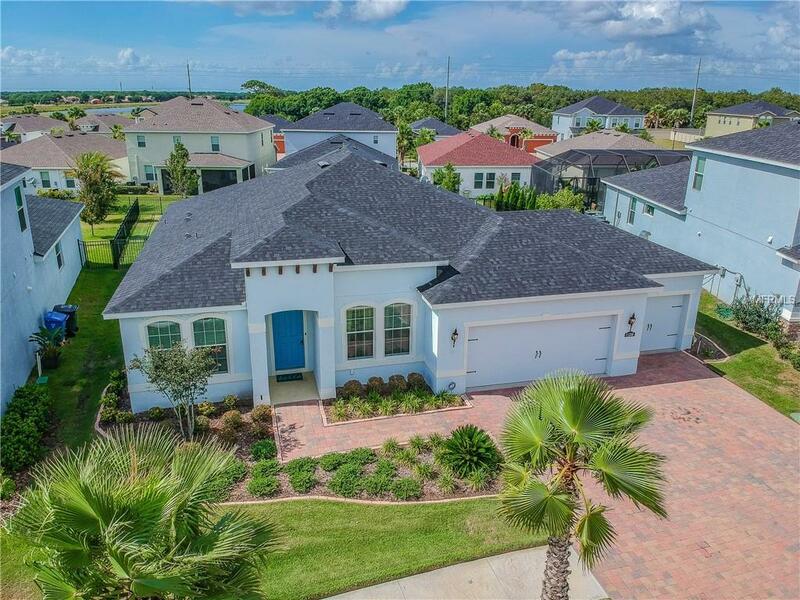 You will appreciate the extensive high end upgrades to this Sandpiper model of Ryan Homes! Your attention will immediately be drawn to the beautiful open kitchen with one of a kind Quartz countertops open and inviting back patio, and custom ceramic tile through out. The graciously sized living room and kitchen showcase 11 foot ceilings and are accentuated with a flood of light coming from the back yard. The oversized EAT-IN kitchen is a cooks dream! Features include WOOD cabinetry, custom quartz countertops and top of the line appliances. The large master bedroom includes a large walk in closet and an upgraded bathroom with granite vanities, his & hers sinks, and separate shower with waterfall shower head. A spacious utility/laundry room off the garage offers added storage and convenience. The garage itself offers tons of space for up to 3 cars and is perfect for storage. Garage comes with built in shelves over garage doors. The secondary bedroom is also bright, offers ample space, and has an ensuite bathroom. Adding to this wonderful home is a beautiful community center situated on a large lake available for canoeing and kayaking. The community also boasts a large pool, fitness center, and event space on the lake! Enjoy the incredible location with groceries, shopping centers and much more being built just minutes away!! Additional Water Information Lake is Accessible By All Lucaya Lake Club Residents. Community Pool And Center On Lake.